RKC Waalwijk defender Boulahrouz made a giant careermove being transferred to German club Hamburger SV in 2004. He signed a 4-year contract. Another surprising transfer was his move to Chelsea in August 2006. He signed a contract until 2009 and received the surprising nr. 9 jersey. After one season with a minimum of playing opportunities, Boulahrouz was send on loan for one season to FC Sevilla. He played just six matches in his first Spanish campaign. However, because of the injury of Ryan Babel Boulahrouz was called-up for the Euro2008 selection of the Netherlands and impressed enough to get the attention of other clubs. Chelsea announced on their official website on July 21, 2008 to have agreed a transfer from Boulahrouz to German club VfB Stuttgart on a 4-year contract. His contract expired in June 2012 and he was released on a free transfer. 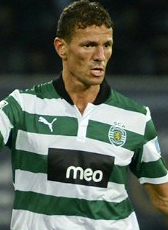 Boulahrouz joined Portuguese giants Sporting Lissabon on a 2-year deal in July 2012. In September 2013, Boulahrouz was released from his contract. After a month he joined Swedish club Bröndby on a free transfer for the 2013-14 season. For the 2014-15 season, he returned home to sign for Feyenoord Rotterdam. His contract was not extended after a season with injuries. In February 2016 Boulahrouz officialy retired. The Netherlands born defender is from Moroccan origin.